I am trying to impose a new rhythm , more paused and leisurely , to the blog with the intent of dispel the idea of the blog as a work... work is something that we must do .. it means stress, and for me stress is not a pleasure .. 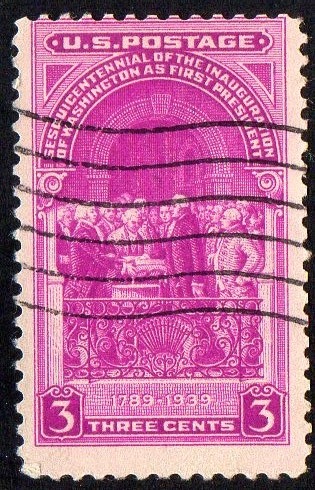 I am trying to do something , that in it's essence is a pleasure (stamp collecting..) but with a rhythm that brings me also displeasure.. 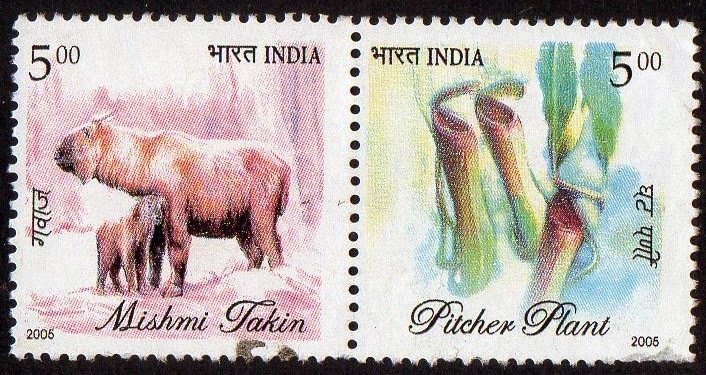 Here are some stamps from that lot... USA, India and Taiwan. 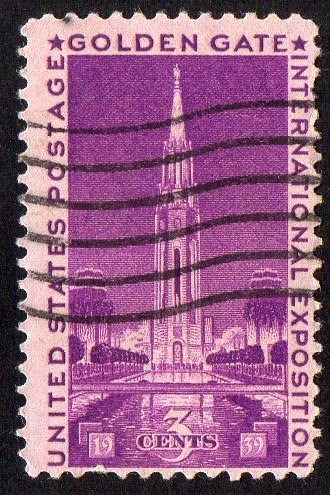 Complete series 1939 "Golden Gate Int Exn, San Francisco"
I have noticed that in the USA stamps it is very frequent this "wavy" post Mark that it is a true "Godzila" of the Post Marks.. Born to destroy..!!! 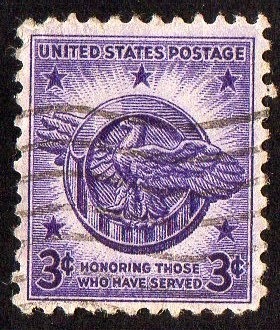 very beautiful stamp..
Fortunately I already have the other stamp of this 1940 series (5) "Famous Americans : Educators" ; I felt surprised with the quality of the stamps in this lot, particularly these one's from the USA.. nice perforations, beautiful colors, etc..
[Left] from the series (5) 1940 "Famous Americans : Artists"
[Right] Complete series 1946 "Honourable Discharged Veterans of Second World War"
I've had this stamps already cataloged, but I think that these trios are good additions to the collection.. the one from the right is not in very good shape [ and the "Godzila's claw "marks are well visible...] , but it will pass. 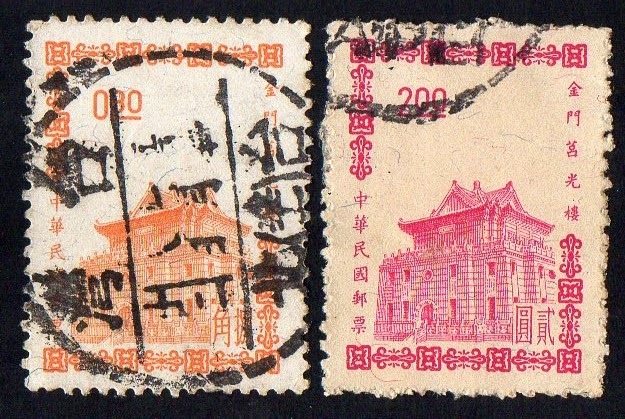 [Left] from a series (28) "Liberty Issue (1954/1968)"
from a series (3) 1940 "National Defense Issue"
Now We have stamps from two series of Taiwan.. 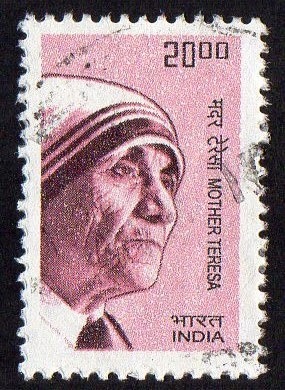 I must remember that these are almost the 1st stamps i have from India.. 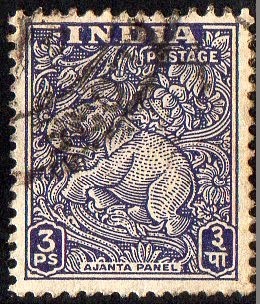 I'm just a beginner in what concerns to India stamps.. 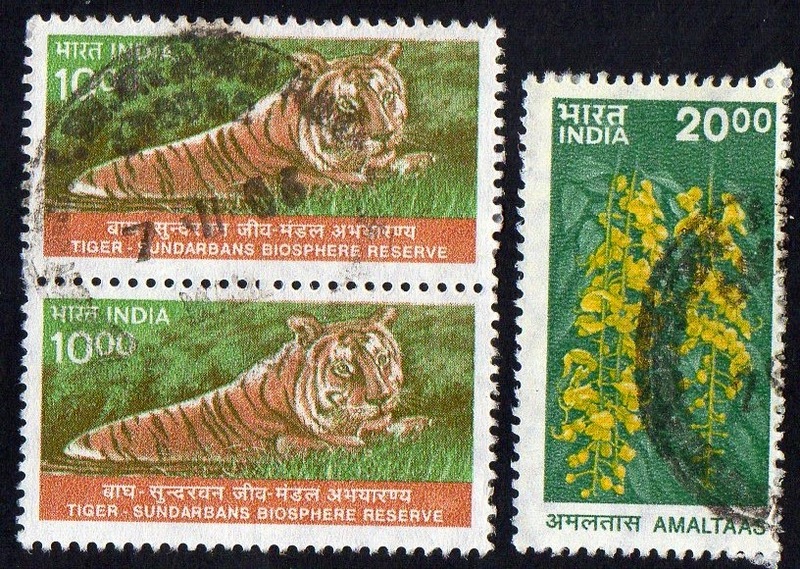 These are stamps from two different series, with the same designs... the first two stamps are from a series (18) 1965/1968 and the 3rd and 4th are from a series (21) 1975/1978... the main difference between these series is that in the 1965 series a currency label is presented and in the 2nd series, only the value is presented , without currency label. 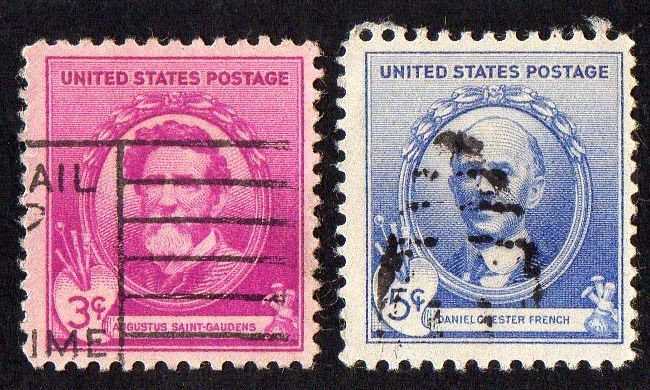 The Perforations are the same ( 14 x 14.5) fot both series..
from the series (3) 2001 "Famous men"
from the series (10) 2000 "Wildlife"